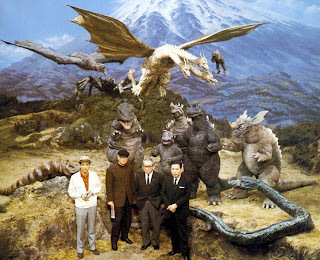 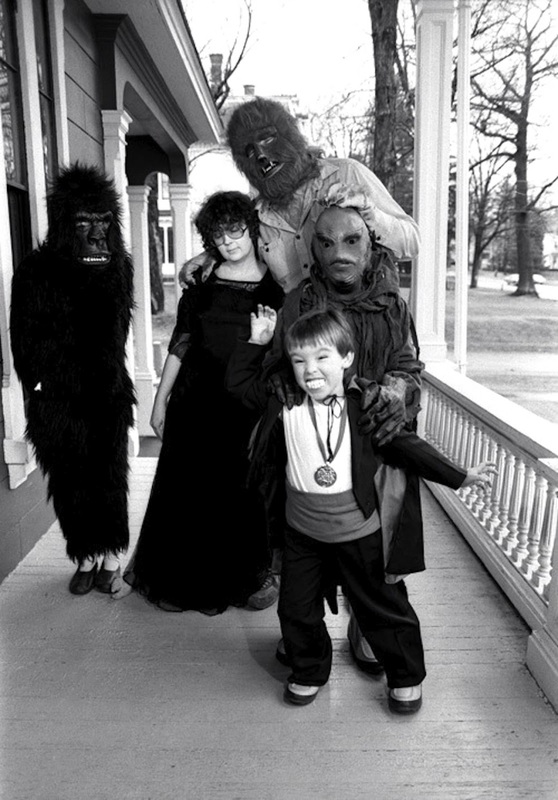 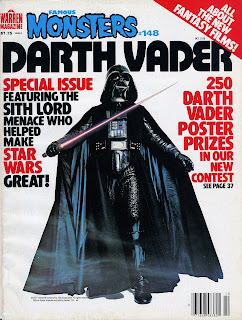 A great portrait from The Monster Times. The Bride wakes up in "Bride of Frankenstein". 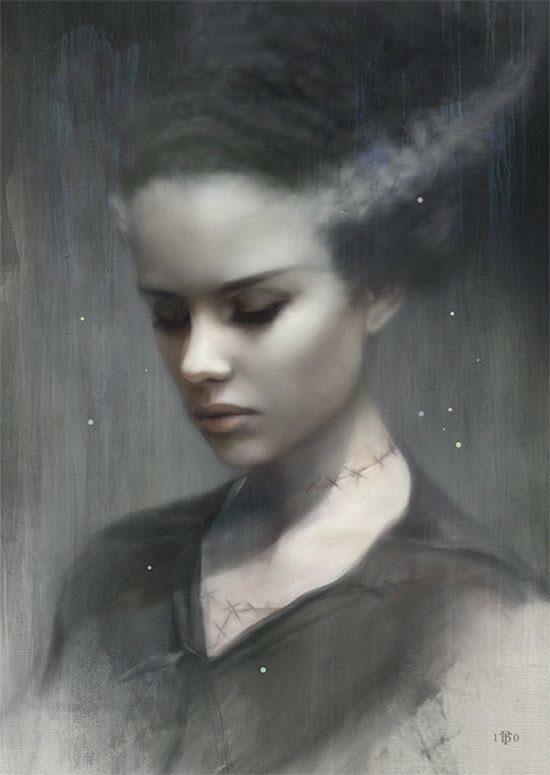 A modern portrait of everyone's favorite Bride. 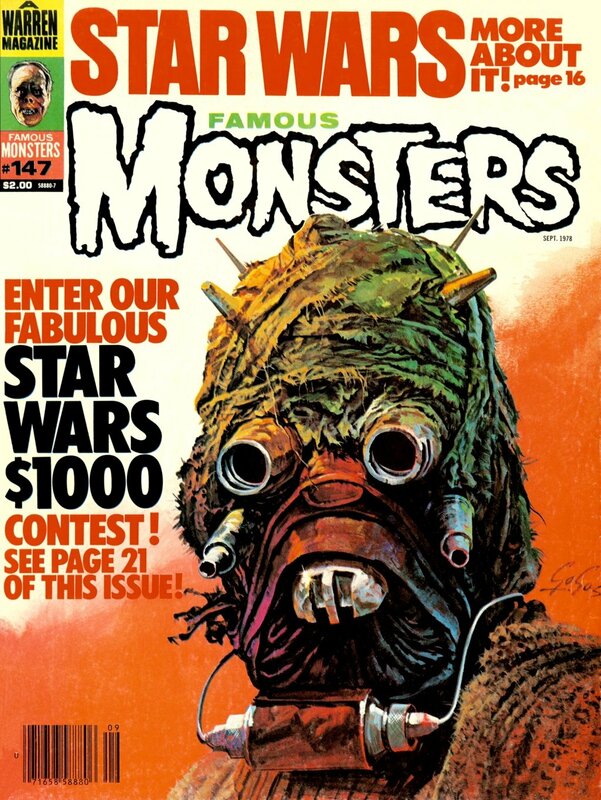 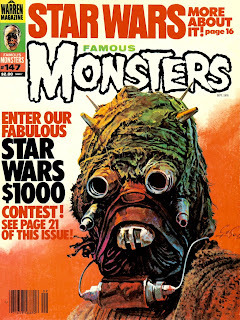 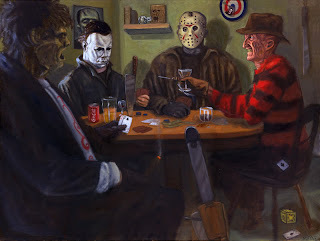 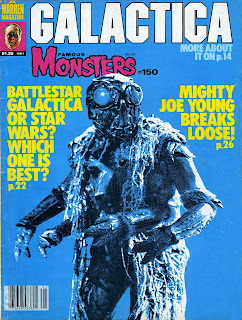 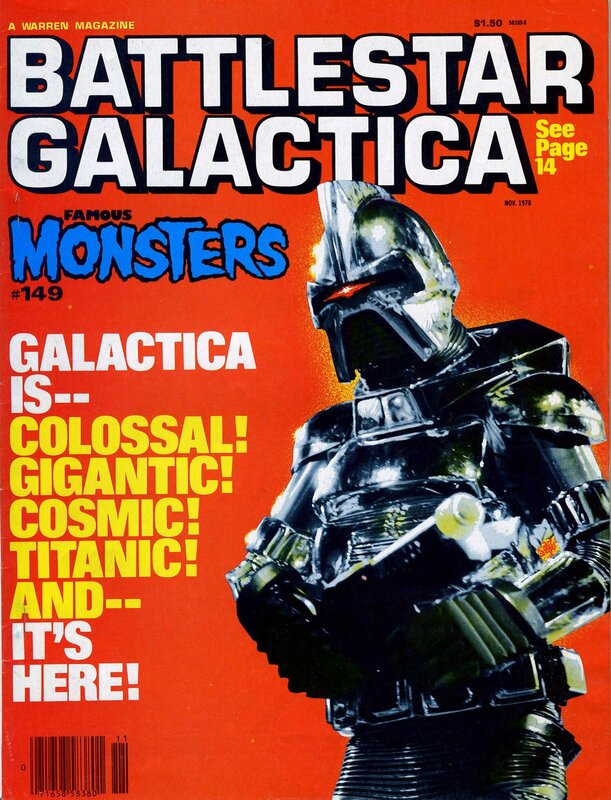 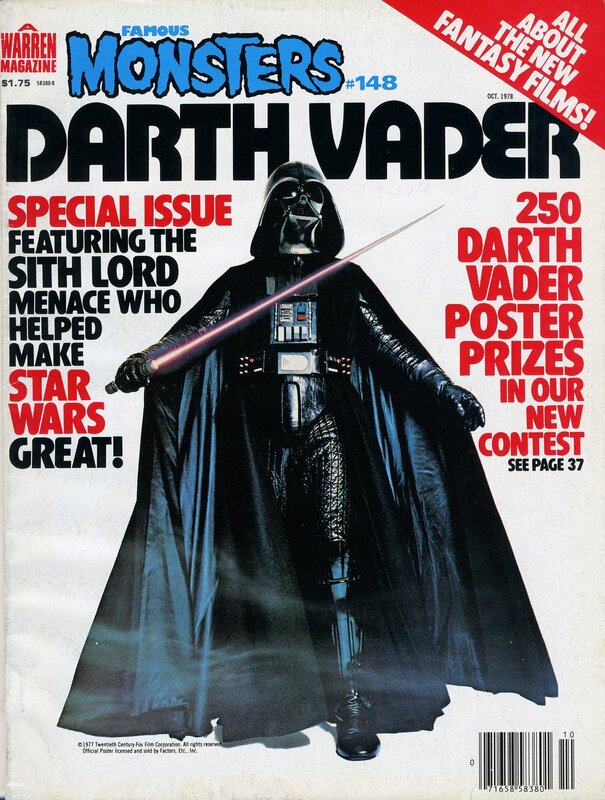 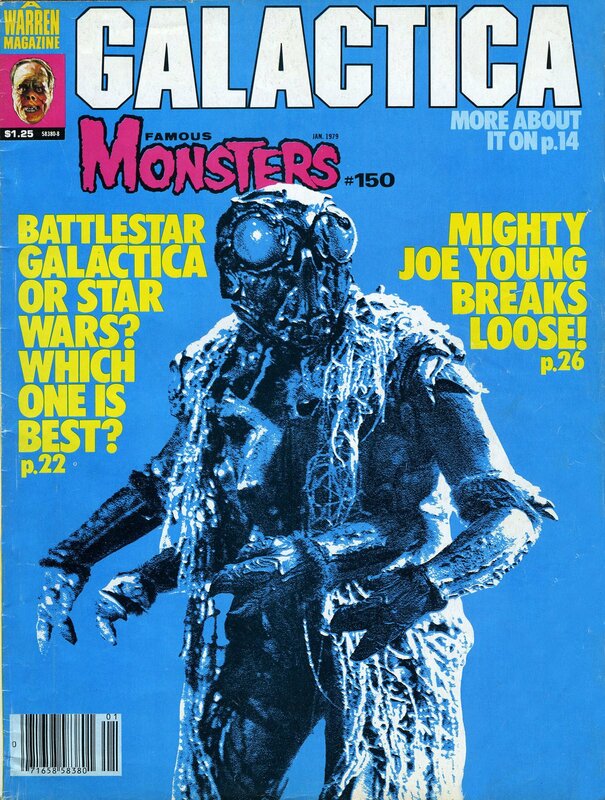 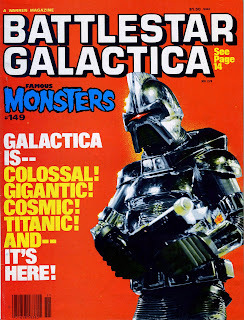 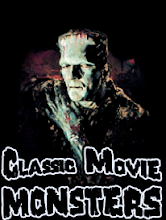 The Most Famous Monster of All! 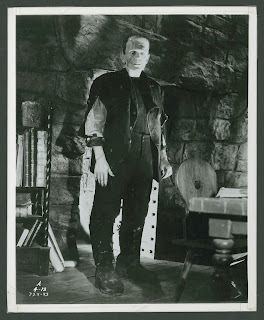 Boris Karloff as the Frankenstein Monster! 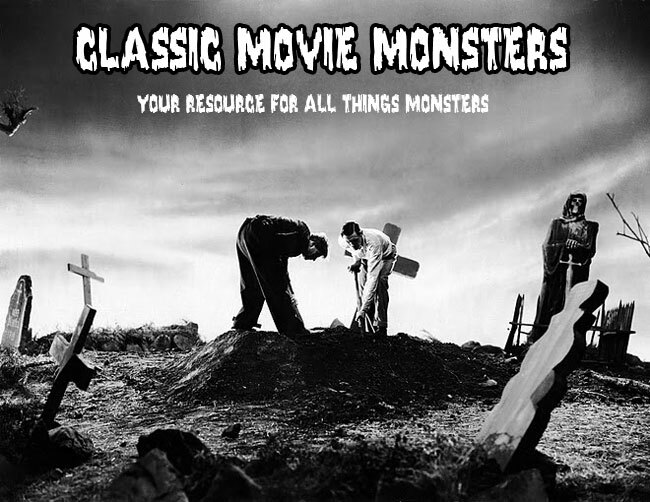 The Creature is on the loose in "Revenge of the Creature"! Boris is ready to be turned into something spectacular! 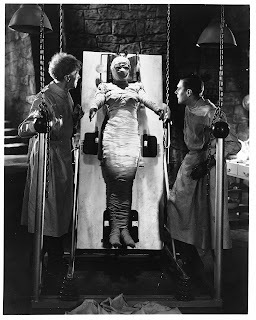 Pretorious and Frankenstein are still working on bringing the Bride to life. 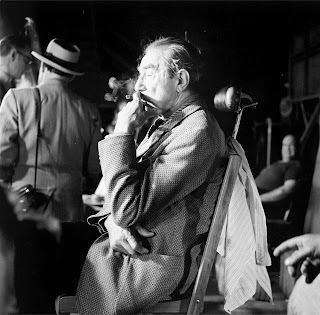 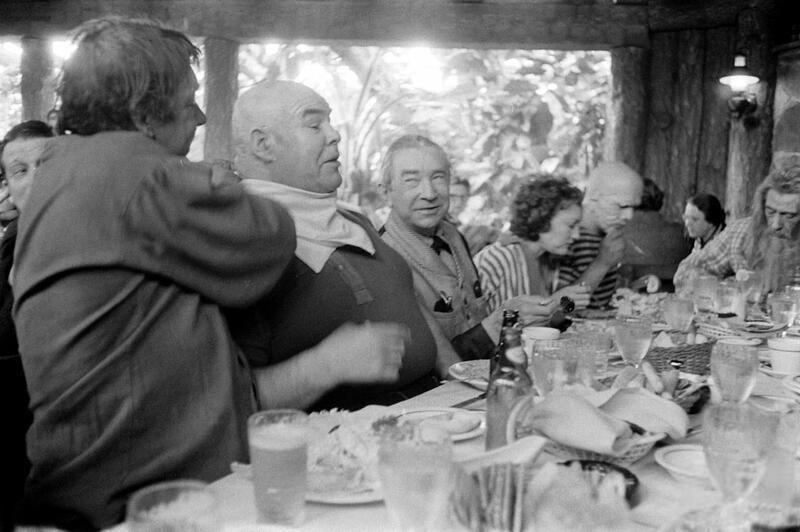 Bela enjoys a smoke. I believe this is from the set of "The Black Sleep". 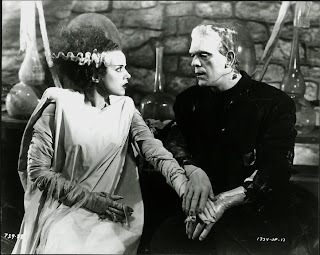 Between scenes on "Abbott and Costello Meet Frankenstein", Glenn Strange poses with a young lady. 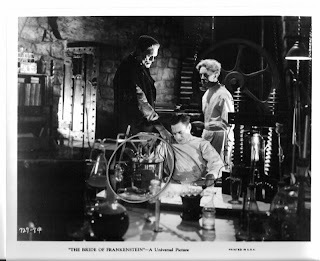 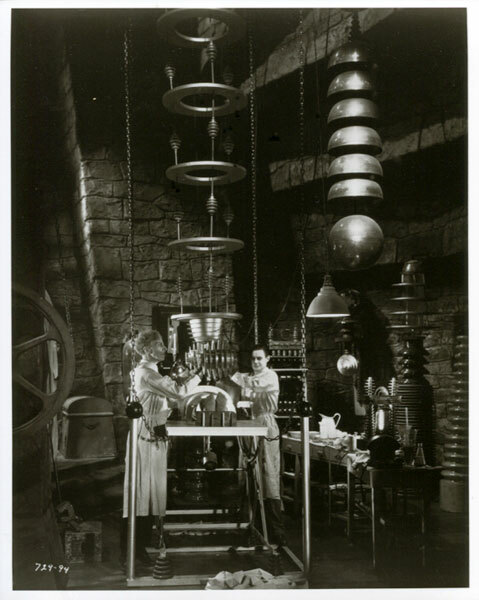 The good doctors do what they can to get a female heart to beat on its own in "Bride of Frankenstein". 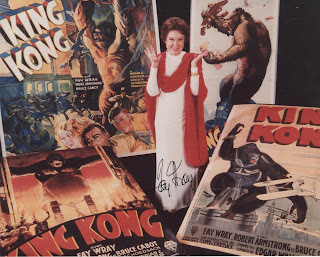 Kim Hunter: Everyone's Favorite Ape! 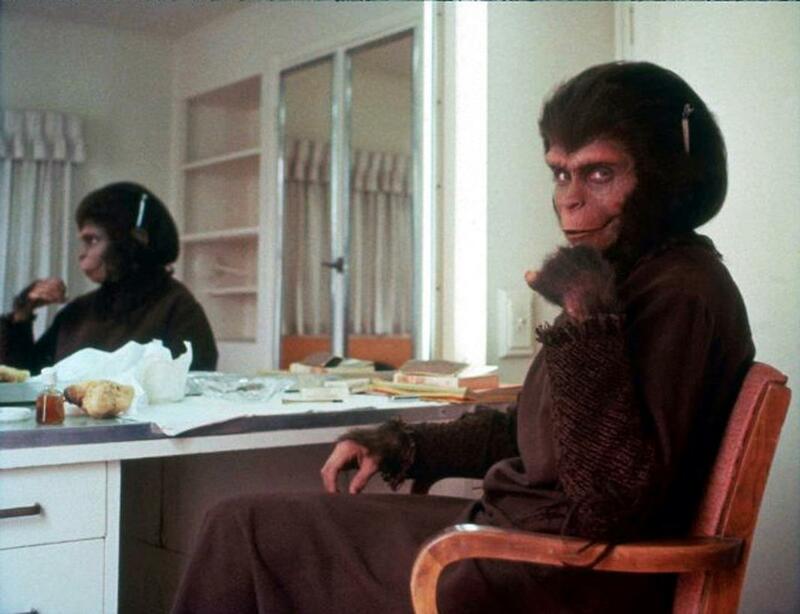 Kim Hunter sits in the make-up chair for "Planet of the Apes". The Creature and Julie Adams take a swim together in "Creature From the Black Lagoon". Wouldn't you love to be in this family? 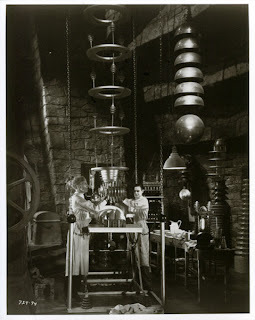 The final preparations are made for the "Bride of Frankenstein"! 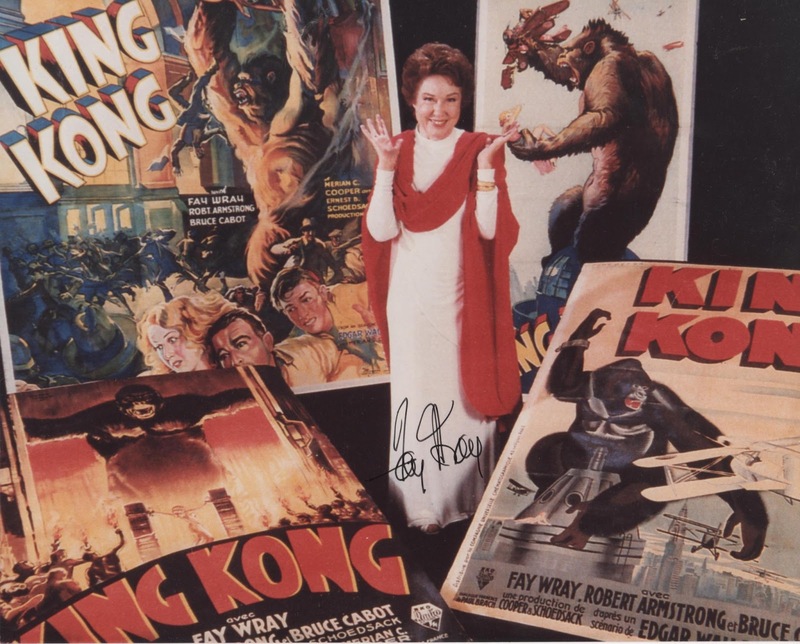 Fay Wray poses with movie posters from "King Kong" for the 50th anniversary! I saw what I saw what I saw! 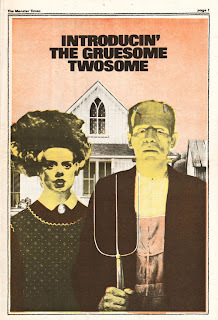 Bud and Lou from "Abbott and Costello Meet Frankenstein". 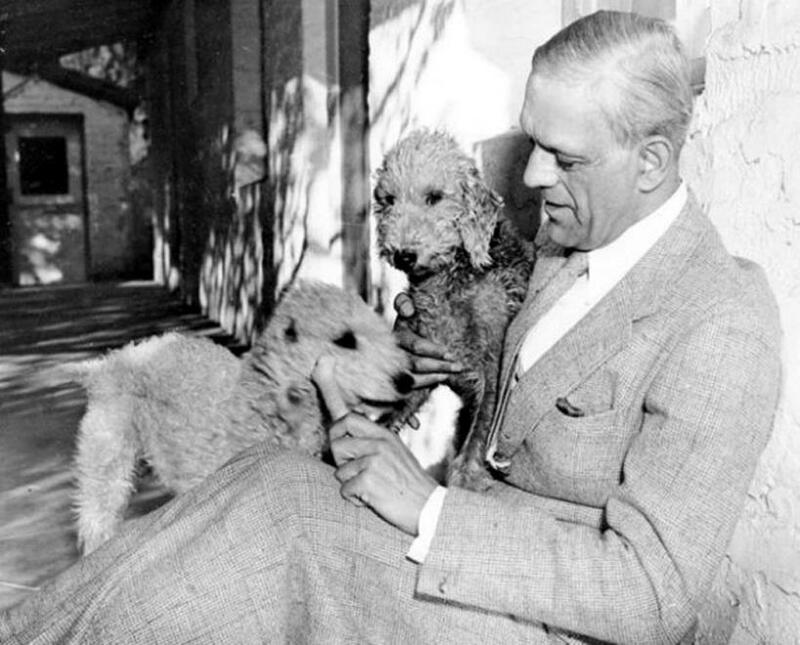 Boris Karloff and his canine pals! 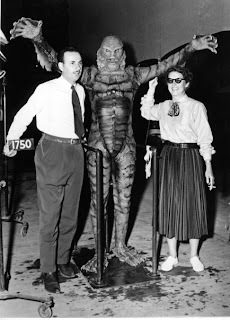 From the set of "Creature From the Black Lagoon". 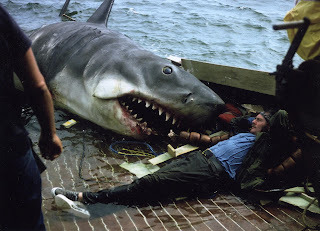 One of the horrifying scenes in movie history! 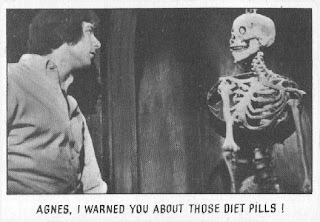 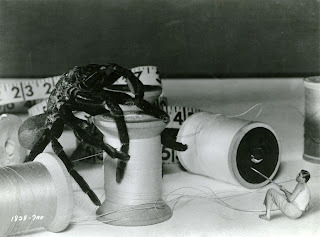 From "The Incredible Shrinking Man". 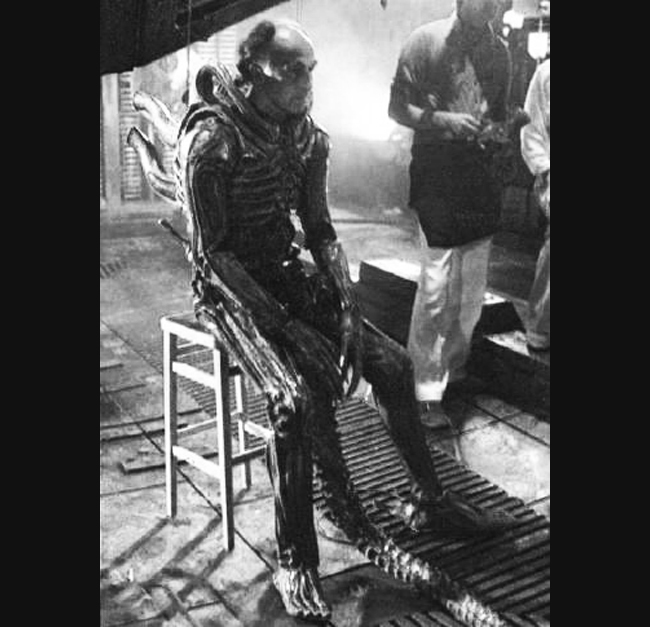 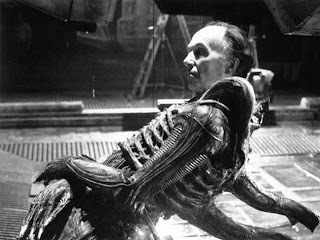 That stunt double (Eddie Powell) is relaxing on the set of "Alien". 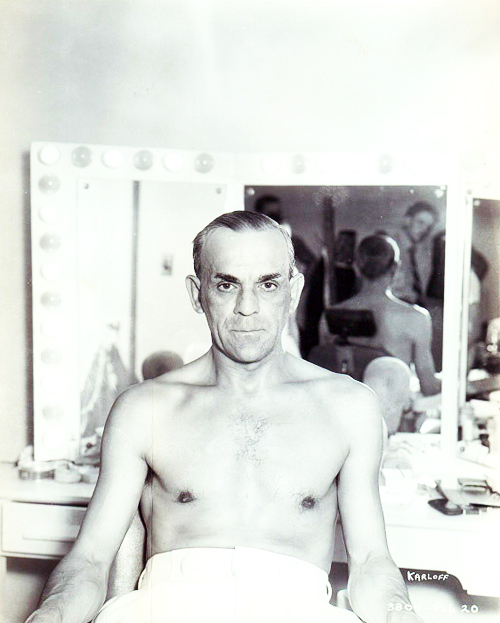 It's Karloff from "Bride of Frankenstein"! 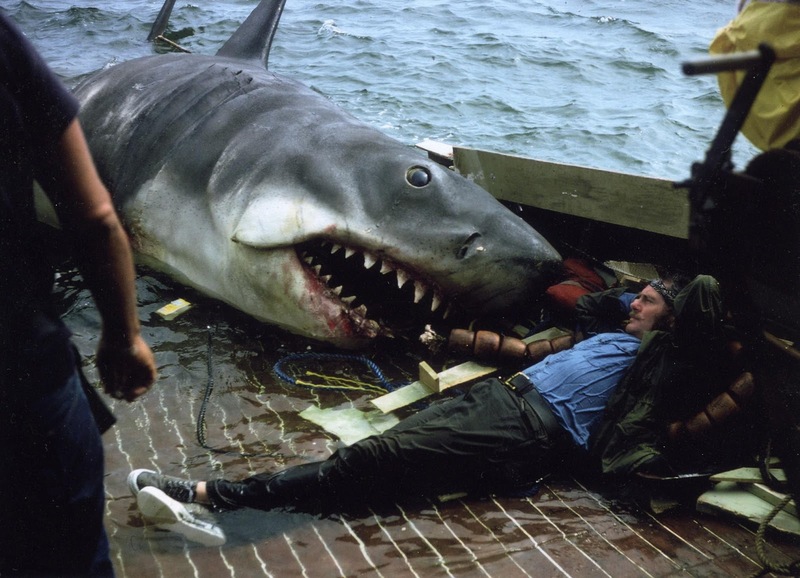 Robert Shaw and Bruce relax between takes on "Jaws". It's Bela and Bela Jr. on the set of "Abbott and Costello Meet Frankenstein". 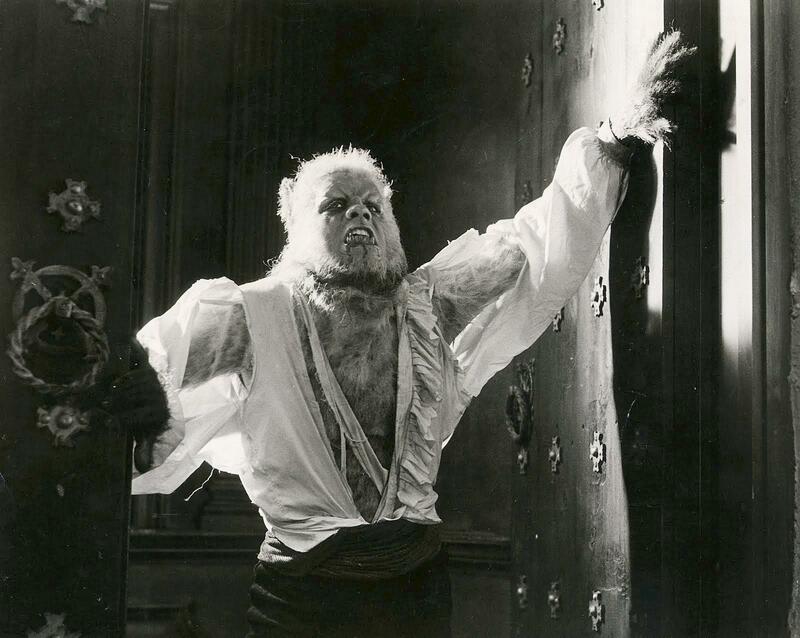 It's Lon Chaney, Jr. as the Wolf Man from "House of Frankenstein". 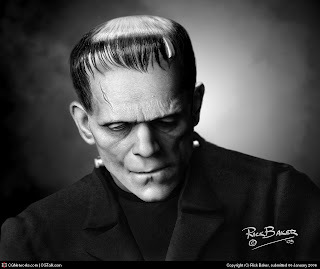 Rick Baker digitally created this amazing portrait of Karloff as the Frankenstein Monster. It could pass for an original publicity still! Soup's on with the cast of "The Black Sleep"! 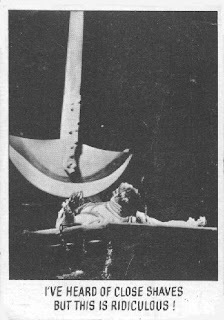 Lon Chaney is about to take a bite in "Son of Dracula". 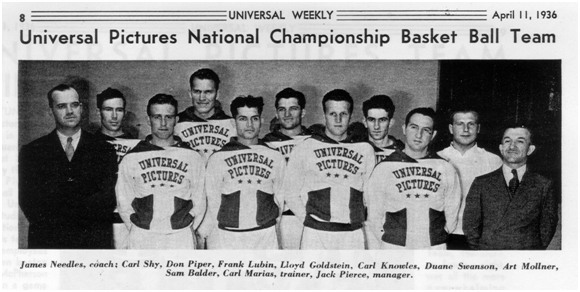 Here's a great photo of Universal Studios' basketball team from the 1930s. 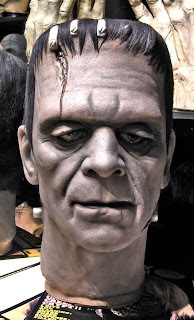 Look who we have as the coach! 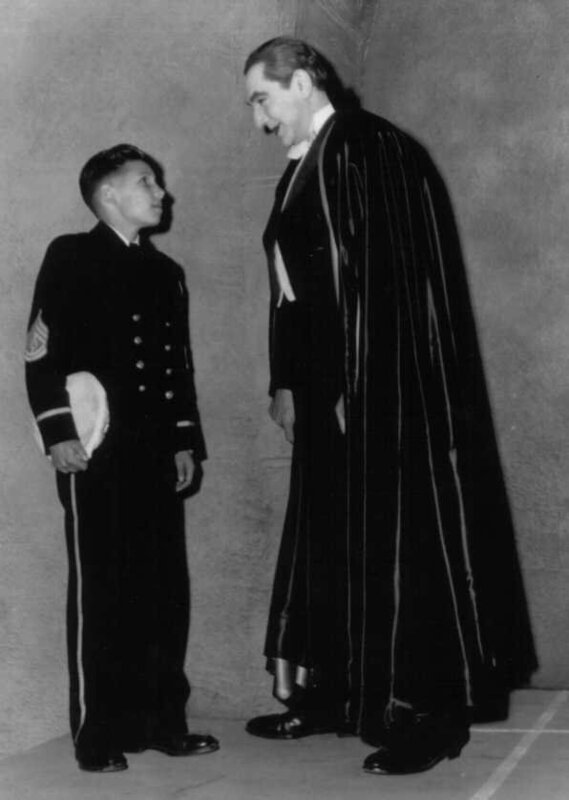 It's non other than that wizard of make-up, Jack Pierce! 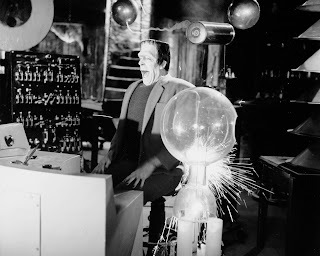 The Monster gives Dr. Frankenstein some motivation in "Bride of Frankenstein". 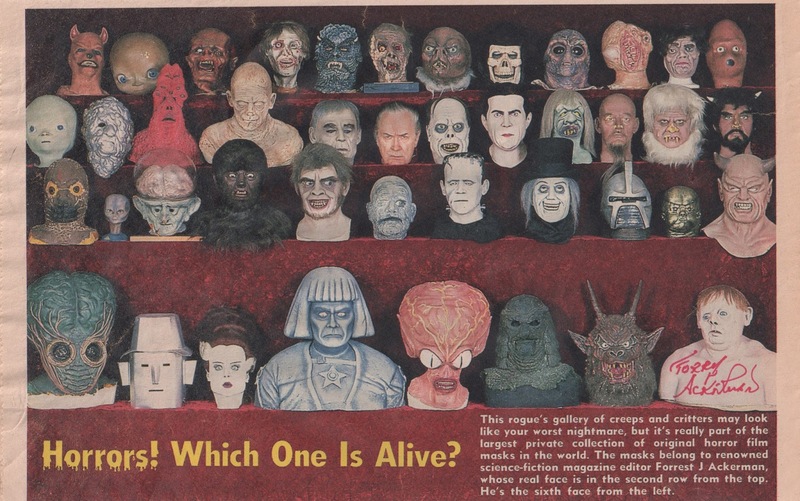 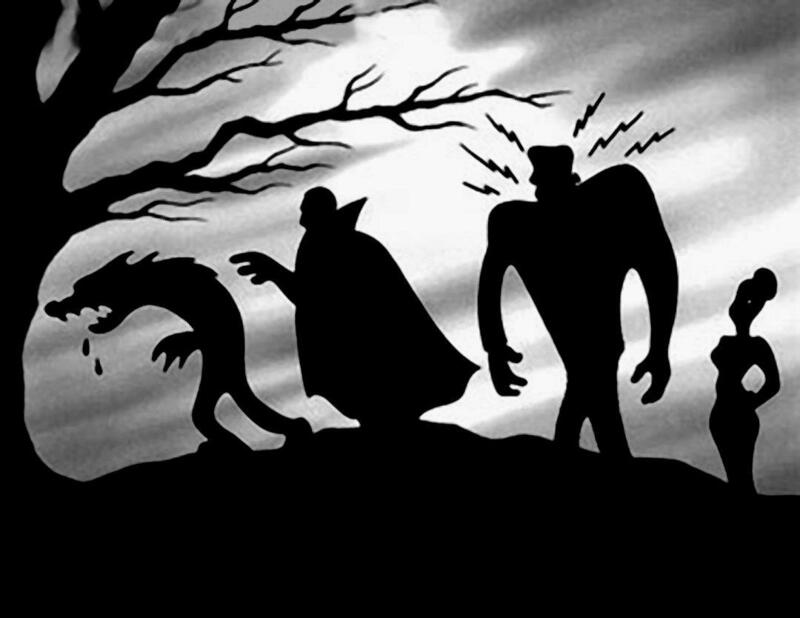 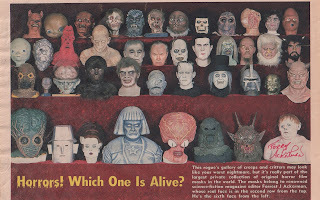 It's the classic Universal Monsters from the opening of "Abbott and Costello Meet Frankenstein"! 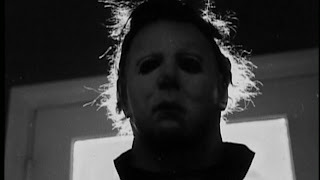 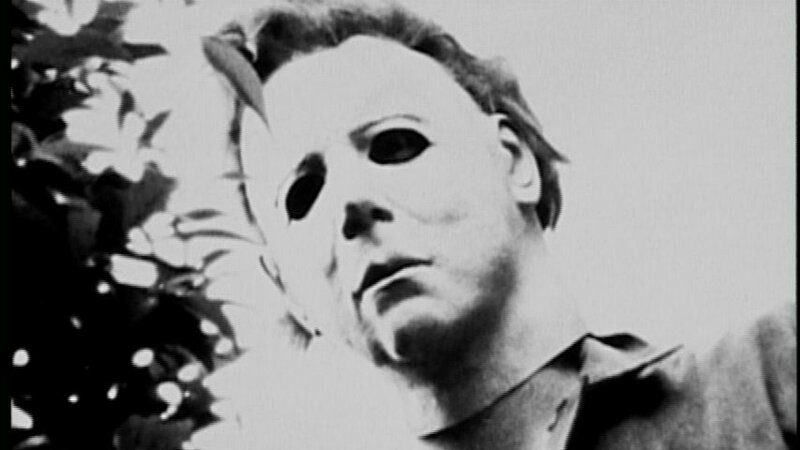 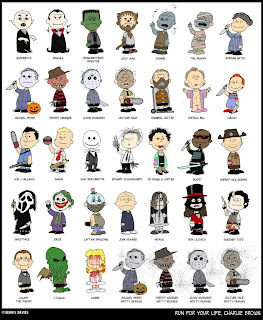 Those black eyes belong to Michael Myers from "Halloween". 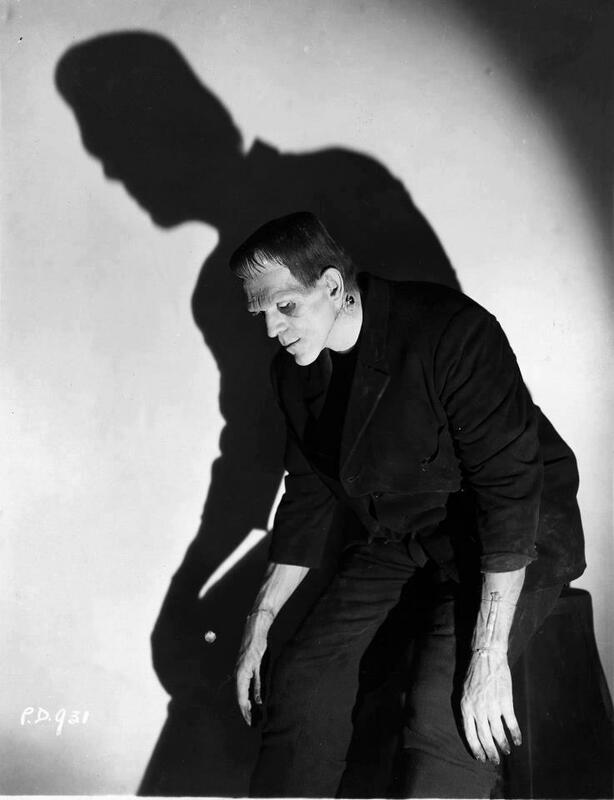 Ygor sees the shadow of the Monster's hand which proves that he is still alive in the sulphur! 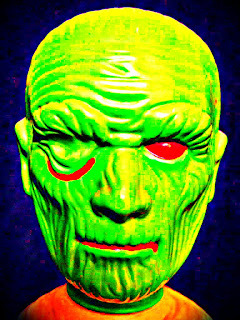 It's the classic Don Post Karloff Frankenstein Mask. 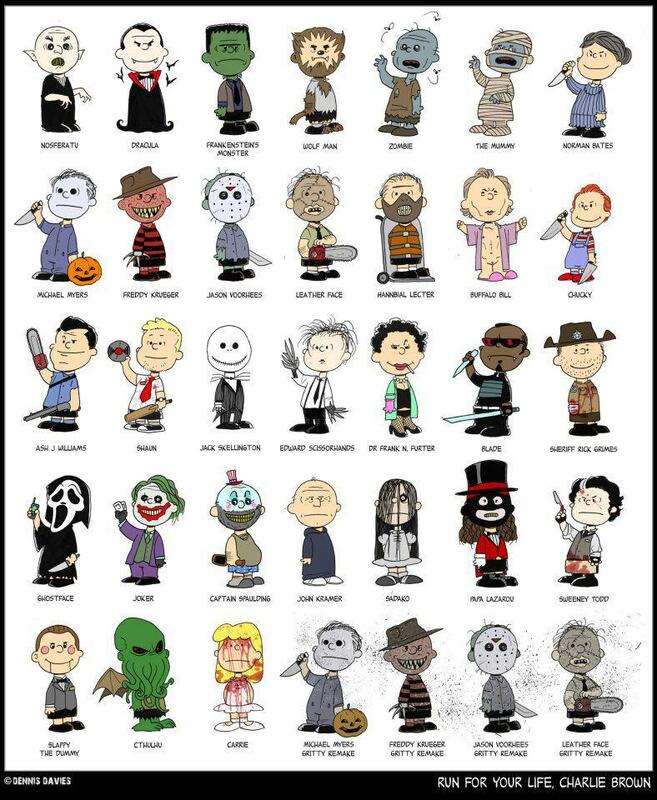 How I want one! 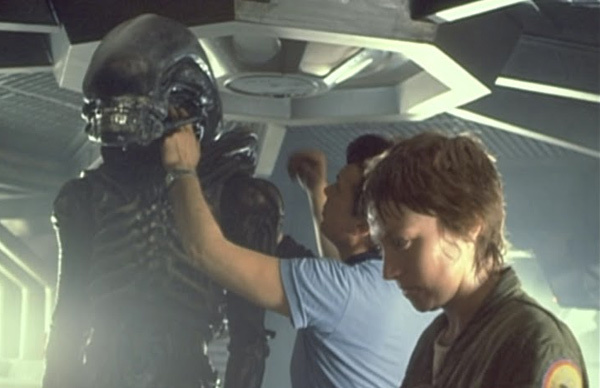 They are preparing to shoot a classic scene from "Alien"!